I just can't help it. I have to share more of the cuteness! Awww...my favorite day of the year has passed again. Here are some highlights of this year's costume parade. 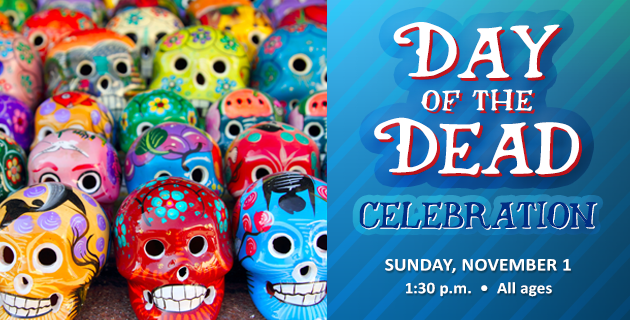 Join our Día de los Muertos event, where we will celebrate and remember loved ones who have passed on. Listen to stories, make projects and decorate sugar skulls. Enjoy hot cocoa and pan de muerto, too! It's happening on Sunday, November 1st, 1:30–2:30 p.m. in the Burgess Community Room and All ages are welcome to attend! Join us for our next Virtual Planetarium Show Series with Roy's Royal Romp through the Solar System on Friday October 30th, 7-8 p.m. in the Burgess Community Room. All ages are welcome as Dr. Torley takes you on a tour above the earth, to the moon, Mars, Jupiter, the rings of Saturn and a few other places in our solar system. The good doctor guarantees you a safe trip home! 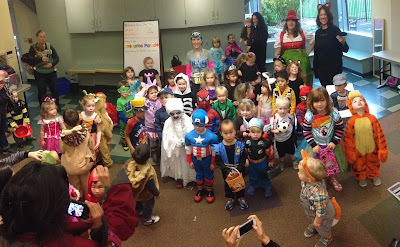 Join us this Friday, October 30 at 10:15 or 11:15 in the Puett Room for our 6th Annual Family Story Time Costume Parade. We will get together for a regular story time, and then go trick-or-treating around the library after. Don't worry, grown-ups, no candy will be handed out! This is the one story time of the year that I do not limit the number of participants. It would take a pretty mean librarian to turn away a kid in a costume! 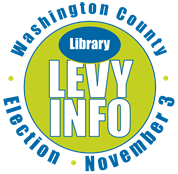 A library levy affecting all libraries in Washington County will be on the November ballot. The levy, Measure 34-235, will replace a five-year levy that expires in June 2016. As a member of Washington County Cooperative Library Services (WCCLS), the Tigard Public Library receives one-third of its funding from the existing levy. Passage of the measure would allow the Tigard Library to open on Thursdays to serve the community. It has been closed on that day since 2012 because of city budget cutbacks. continuing to offer library information and technology resources for job-seekers. Tigard and other libraries would likely reduce services and hours if the levy does not pass. Other possible reductions for Tigard would be purchasing fewer books and other materials and reducing the number of programs. The rate would be 22 cents, per $1,000 of assessed value, an increase of 5 cents over the current rate. If approved, it would be the first rate increase since 2006. In 2016, homeowners with an average assessed value of $255,408 would pay about $56 per year, or $14 more than paid in 2015. To learn more about the levy, please visit the WCCLS Levy Replacement Page. Frequently asked questions can be read here. Please Note: The library is not a ballot drop-off site, however ballots may be dropped off in the ballot drop box located at City Hall near the Skate Park. 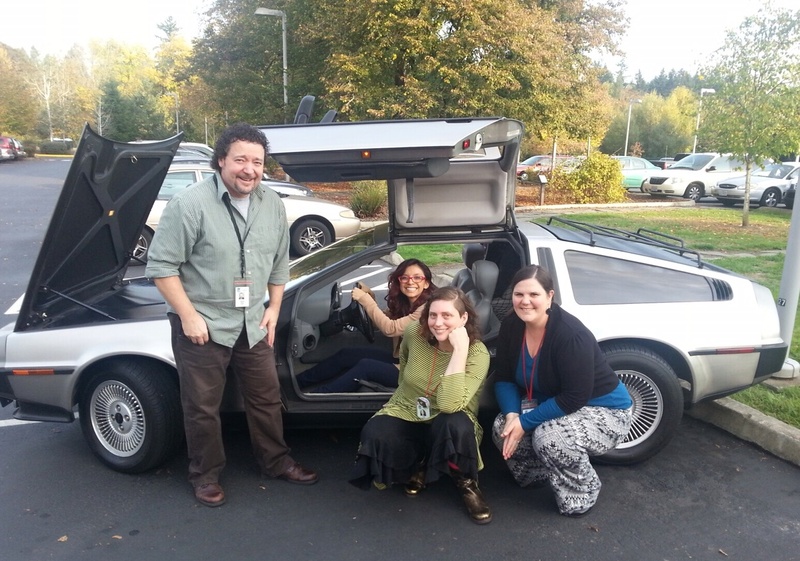 Just want to show off the AWESOME DeLorean that helped make our Back to the Future program a success on October 21, 2015. For those of you who don't know, Wednesday was the day 30 years in the future that Marty McFly arrived. 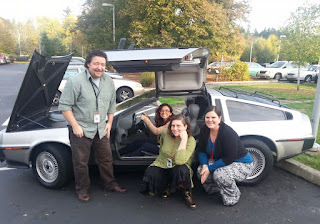 A special thanks to Ben Berry for letting us sit in, climb all over, take pictures with, and just enjoy his car! Calling all future engineers and mathmeticians! Drop in to work on your LEGO® creations with other builders and give our race track a spin! We'll supply all the building blocks; you bring the creativity! This month we'll play on Sunday October 25th at 1:30-3:00 p.m. in the Puett Room and kids ages 5 and up are welcome to attend. The Tualatin Valley Community Band is composed of volunteers who have played musical instruments in high school, college, and other groups. They will share songs of the season, some spooky and some sweet. 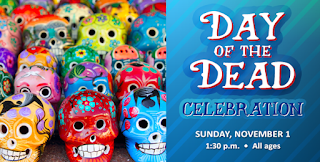 Wear a costume for this family-friendly event on Sunday October 25th at 3:00 p.m. in the Burgess Community Room. What's special about October 21, 2015? Today is the day 30 years in the future when Marty McFly arrives! Watch family-friendly clips from the movie, try your hand at some trivia, compare the different eras that Marty visits, enjoy the future coloring station, dance like it's 1955, even see a real DeLorean! There will be photo opportunities with the car and with Marty's vest. Collect a prize if you come in costume. 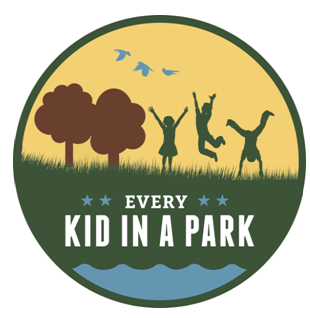 This program will have something for everyone, no matter your age. Join us in the Community Room this Wednesday, October 21, 2015 from 4:30 to 6:00. Friday October 16, 9:00 a.m.-5 p.m.
Saturday October 17, 9:00 a.m.-5 p.m.
Get more bang for your bucks with very discounted used book prices and support the library at the same time! Also, stop by the Circulation Desk to pick up your 50 cents off coupon!!! October is a very important time because it's National Anti-bullying month. 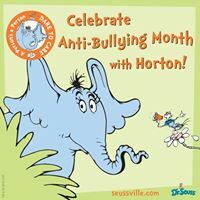 Horton the Elephant wants to remind you to "Dare to Care". Because after all "A person's a person no matter how small!" Stop by the children's desk at the library and we would be more than happy to show you books on the topic of bullying for children and for parents. STOMP Out Bullying™ To encourage communities to work together to stop bullying and cyberbullying by increasing awareness of the prevalence and impact of bullying on all children of all ages. Stop Bullying.gov Help stop bullying at school, online, and in the community. Pacer.org National Bullying Prevention Center Make bullying prevention a movement that touches every community. 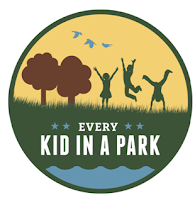 Share information about the event through website updates; posts on social media channels; articles in newspapers, magazines, and online publications; or just connecting with someone in person. TODAY, Saturday October 10th marks the 4th annual Star Wars Reads Day!!! This year the library is playing it low-key for this annual world event with a special display and take-home activity sheets. Celebrate all things Star Wars by checking out some Star Wars books from the library collection, reading the books, and coloring your color sheets! May the Force be with you! In honor of Adopt a Shelter Dog Month, join us this Sunday, October 11 from 1:30 to 2:30 in the Puett Room to learn from a Humane Society educator about how to stay safe around dogs. Practice what you learn with real-live trained therapy dogs and then make dog and cat toys to either donate to the Humane Society or take to your own fuzzies at home. Blue Bell will be there! School's Out on Friday, October 9th!!! Want something fun to do on a day with no school? Stop by the Puett Room for games and projects, from 2 to 4 p.m. All ages are welcome! 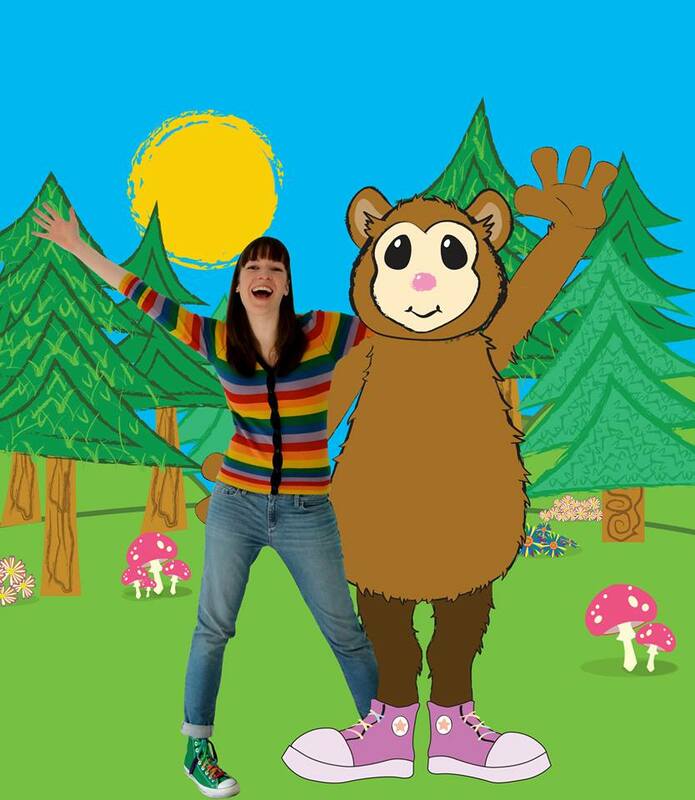 Emmy Blue will share her original stories and updated folktales about the magical creatures who live in the enchanted forests of the Pacific Northwest. Squatchie himself might even visit! And each child will receive their own sparkling magical stone from the enchanted forest. These magical stories for all ages will take place on Tuesday October 6th at 6:30 p.m. in the Burgess Community Room. FREE and discounted outreach programs during October for Tigard groups, such as senior centers, service clubs and other community organizations.